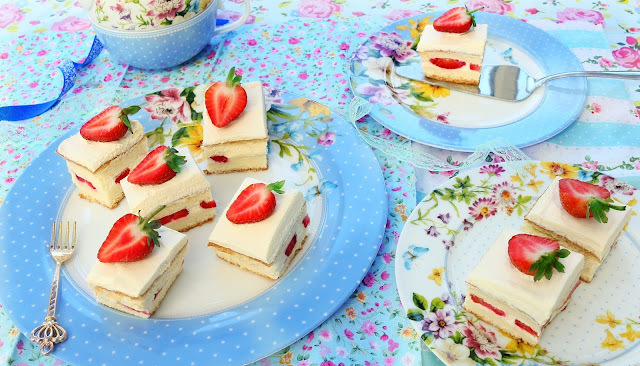 This Japanese strawberry shortcake is an absolute perfect way to celebrate any special occasion. 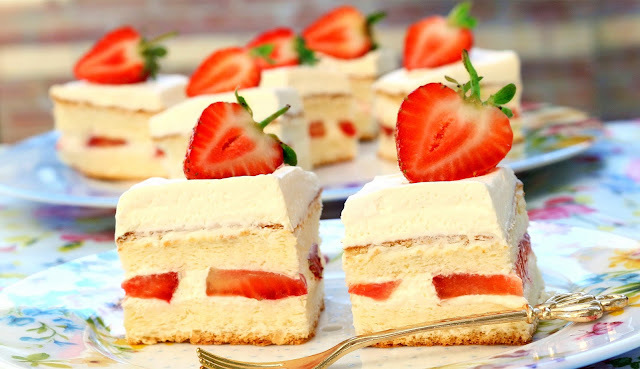 Red and White cakes are popular in Japan. of course you can find them at most Chinese bakeries here. Simply want to surprise yourself? You can now bake it, as you will soon be able to enjoy freshly baked treats straight from your own at comfort home. 2) In a separate bowl, whisk (B) egg whites and add cream of tartar and sugar a bit at a time until to a thick and stiff peak stage, about 3 minutes. 7) In the meantime, whip the (C) double cream until it is just thick enough to hold its shape and add vanilla extract for a little extra flavor. Refrigerate until ready to use. 9) Use a sharp knife to cut the strawberry and slice. 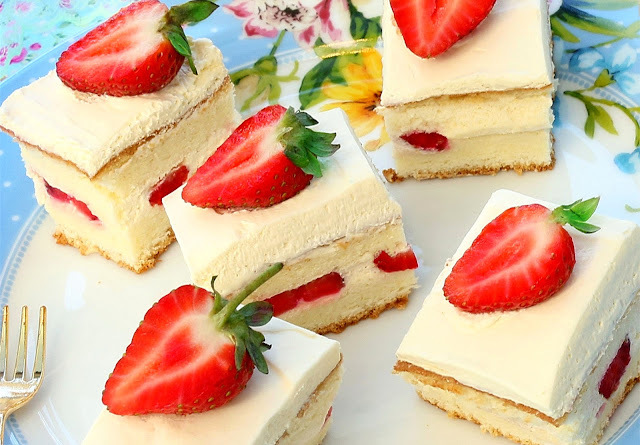 Arrange strawberry slices in a single layer over cream and place second cake layer. Refrigerate it. 10) Take the cake out from the refrigerator and cut side down, pressing gently to secure it. 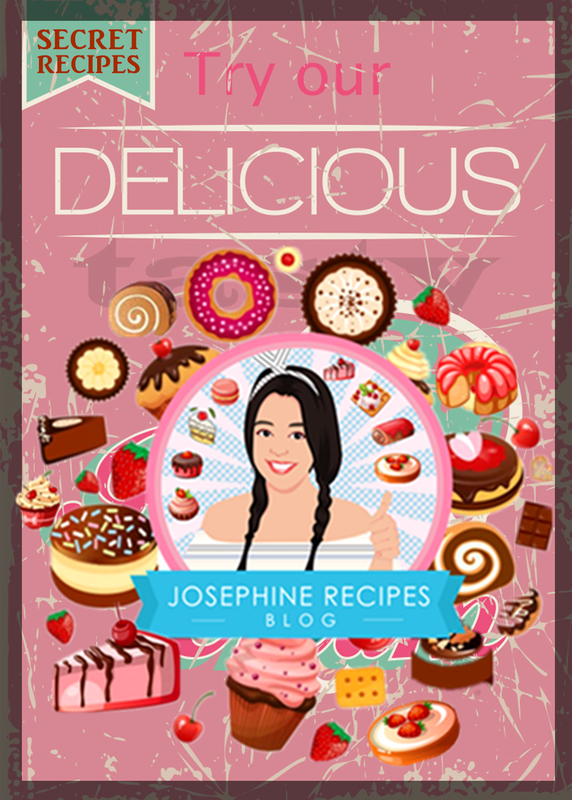 Spread with a palette Knife over the sides of the cake, and around the top of the cake. Refrigerate the cake, as well as the cream until firm, at least 10 minutes. Spread remaining whipped cream on cake top and decorate with fresh strawberries. Return cake to the refrigerator until cream on cake is set, about 15 minutes.